Ron Burgundy knows women. He said so himself! If you want to know how to start an office romance you should listen to all the things Ron has to say… and then forget them. When you compliment a woman’s perfume you should be full on and intimidating. Try to scare them as much as possible. If you want to start a romance you should talk about yourself until she knows every little facet of your life. Make sure she especially knows about all of your achievements and about how superior you are to her. In fact, why don’t you just flat out insult her? And this is where the magic happens. If you want to start a hot office romance you need to make sure your pick up line is pure gold. You need to make sure it melts her as soon as she hears it. Luckily for you Ron Burgundy has it sorted out for you. See the way he structured that? It is direct and awkward. It is probably bordering on sexual harrassment. 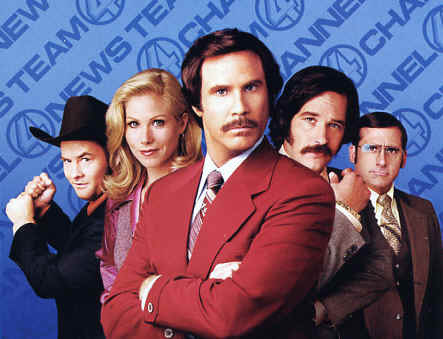 You see with the Anchorman it is all about confidence. He knows women want him and he likes to show it. He isn’t afraid of being shut down because he has never been shut down before. You gotta’ love Ron Burgundy!